When we think of evolution, we think of Charles Darwin. However on a tiny, volcanic, Indonesian island, a little-known naturalist formulated a theory that would shape the world of science. 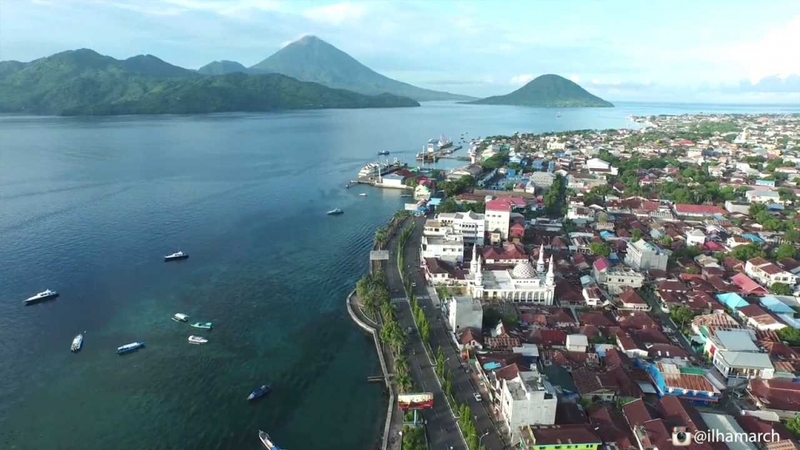 The Indonesian island of Ternate, like its neighbour Tidore, is almost all volcano. It sprouts from the sea, an almost-perfect, yet truncated cone, wreathed in steamy clouds and fringed with a narrow strip of flatlands and beach that house an airport, a city and an around-the-island road. The volcanic landscape of Ternate and Tidore has given the island its fertile soil and beaches with black glittering sands. Today, all around the islands are colorful boats in various sizes lying in the shallow turquoise water, shielded by swaying coconut trees. Ternate consists of a very large active volcano (Mount Gamalama, 1,715 m) which is only inhabited around the base and is forested all the way to the crater. It seems an implausible location, all in all, for one of science’s great eureka moments, when a Victorian naturalist put pen to paper and outlined the theory of evolution through natural selection. When 35-year-old Alfred Russel Wallace arrived in Ternate in January 1858, he’d been exploring the vast and sprawling mass of islands he called the Malay Archipelago for almost four years. Travelling thousands of miles by steamer, sailing ships and native boats, on horseback and on foot, he and his assistants had killed, skinned or pinned tens of thousands of specimens, from orangutans to birds of paradise to the sloth-like marsupial known as the cuscus, not to mention thousands of species of beetle. Wallace took a tumble-down house surrounded by fruit trees, five minutes’ walk from the market on the outskirts of what is now Ternate City. 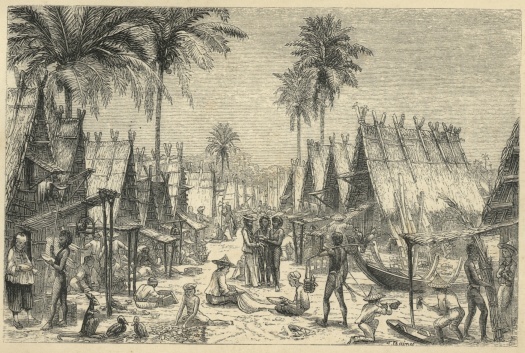 He made Ternate his base during the second half of his collecting expedition to the 'Malay Archipelago' (Indonesia) and lived in it on several occasions between early January 1858 and July 1861. It was whilst living there in early 1858 that he famously posted his essay on evolution by natural selection to Charles Darwin, and it is because of this that this Ternate house has become legendary. Here is where he wrote many of his scientific papers and letters. It was from Ternate that he sent a letter on March 9, 1858 to Darwin along with a detailed paper describing his theory. Darwin had come to the same conclusion on his own years earlier, and was emboldened by Wallace’s realization. They jointly published a paper arguing their groundbreaking and then-controversial theory that year. Darwin published The Origin of Species a year later, which became a sensation and would propel him to fame. While both men were brilliant, Darwin had one major advantage: He had backing from the scientific community and the money to do his work, which meant that Wallace’s work was largely unknown. Wallace collected specimens to prove his theories, and his trips to collect and learn more were funded by selling those specimens to museums and private collectors. He continued his travels. 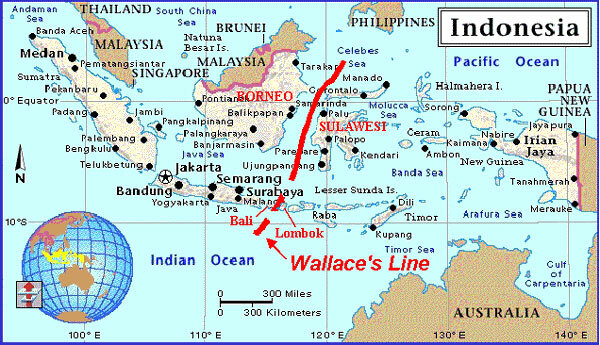 In 1859, he laid down a landmark in the field of biogeography, tracing a line that delineates the boundaries of Southeast Asian and Australian fauna: the Wallace Line. 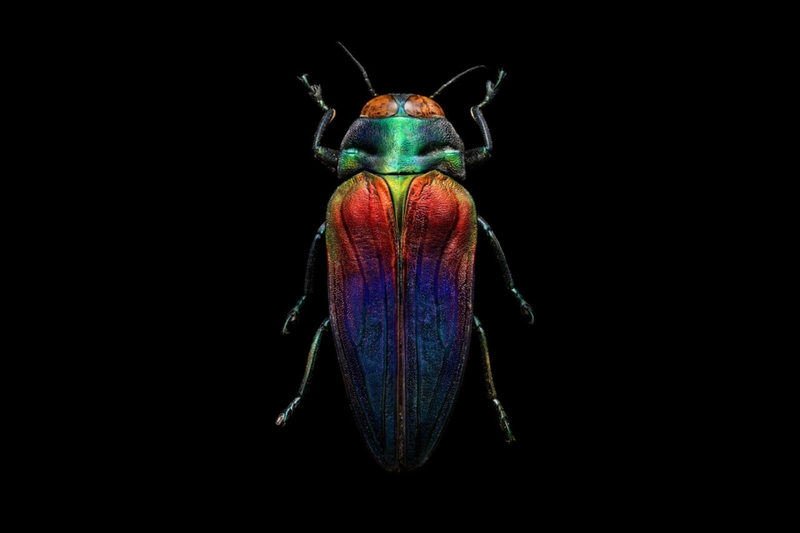 In 1862, he returned to England, having collected no fewer than 125,660 natural history specimens, including more than 83,000 beetles. In 1868, he published an endlessly readable memoir of his travels, "The Malay Archipelago". He would live till the age of 90, writing in support of causes as diverse as women’s rights and spiritualism, and never failing to extend his colleague Darwin the respect that he deserved. Unfortunately, there is no plaque honoring Wallace on Ternate, and, according to Wallace historian Dr. George Beccaloni, it is likely that the house where Wallace lived and worked is no longer there. However, the beauty of the island—which Wallace wrote as having “grand views on every side,” and “lofty volcanic peaks” with huge mountains rising behind them covered in “perpetually faint wreaths of smoke … calm and beautiful” is itself worth seeing. We can still explore the impressive old Fort Oranje, which was just below Wallace’s house, and imagine the wonders he saw and the mysteries he wanted to unlock, ultimately forming a theory that would change the way that people viewed the natural world.